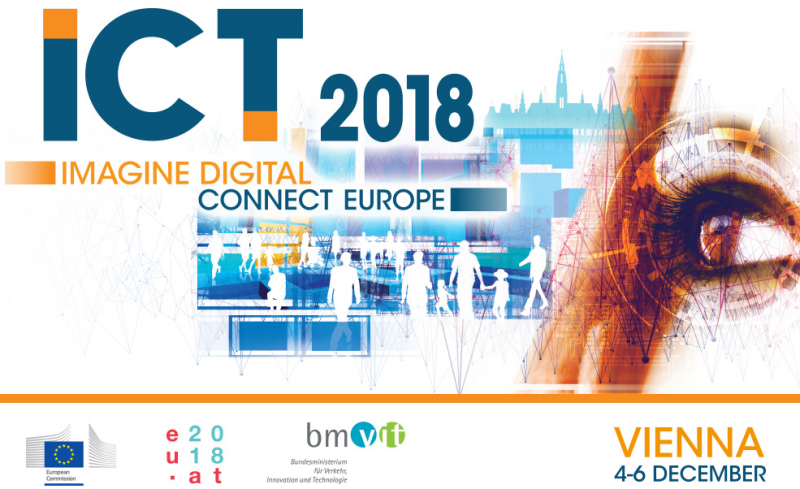 VisualMusic Project will participate at #ICT2018 in Viena. Visit us in stand T12 and enjoy the most exciting 3D graphics combined with music. From 4th to 6th December, representatives of Brainstorm Multimedia, coordinator of VisualMusic project, will be there to show visitors how this innovative solution, specially designed for creative music industry, works. Live demos will be performed periodically during the event. Don’t hesitate to come and see how VisualMusic can mean a leap forward for music performers, by adding real time 3D graphics to their music productions.